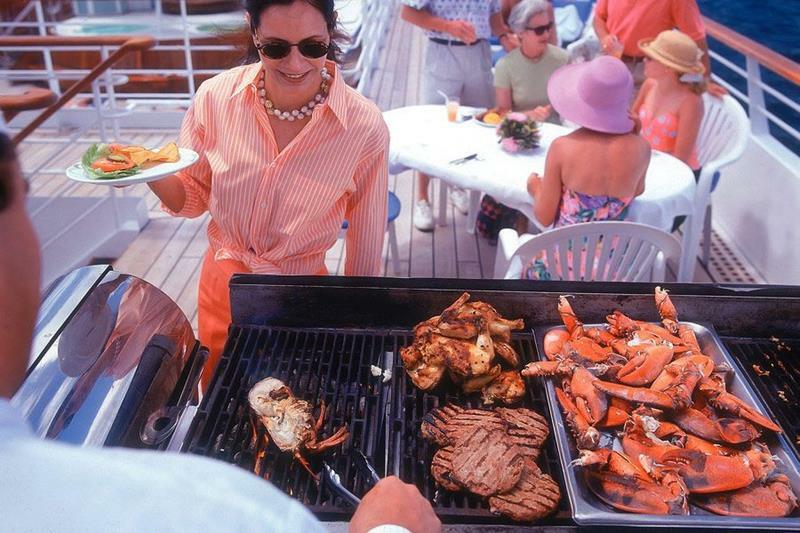 There are all kinds of different cruise ship experiences you can have. 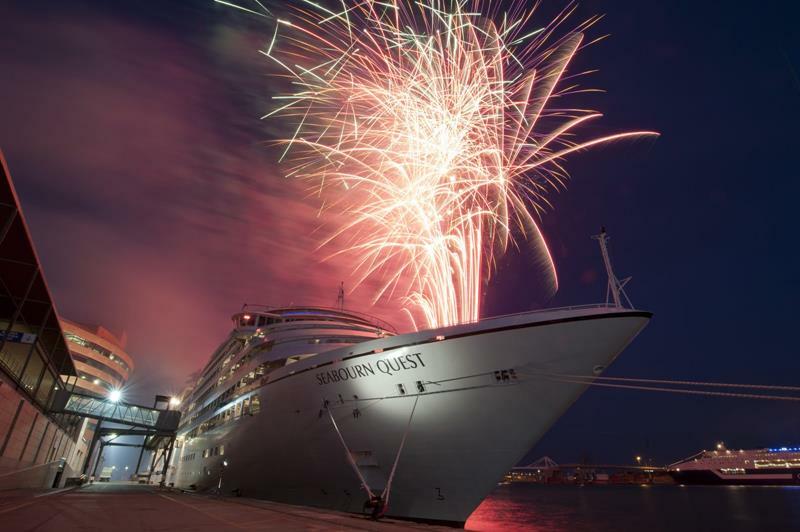 There are the cruise lines, like Disney, that offer the ultimate family experience, and there are others, like Carnival, that offer the party atmosphere that so many want. Still yet, there are others the offer the ultimate luxury travel experience. 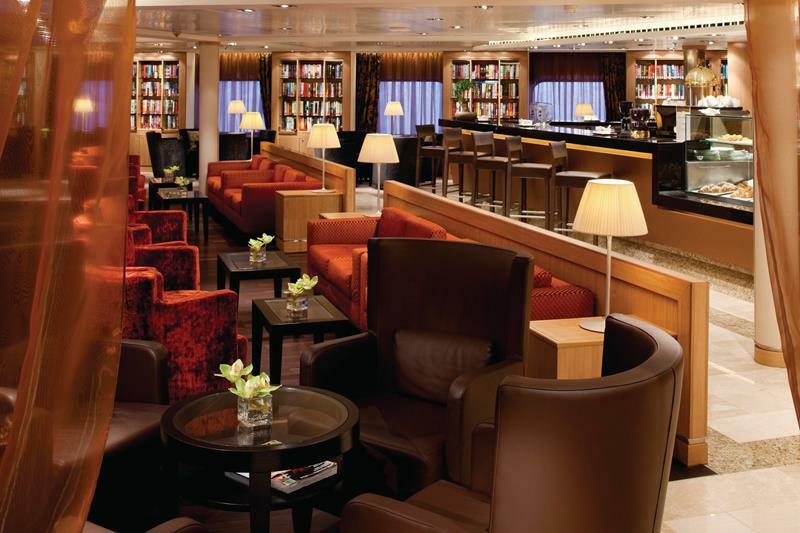 When it comes to that category, there may be no better cruise line in the world than Seabourn. This cruise line offers its passengers an experience that’s not all that dissimilar from the yachting that the rich and famous do. 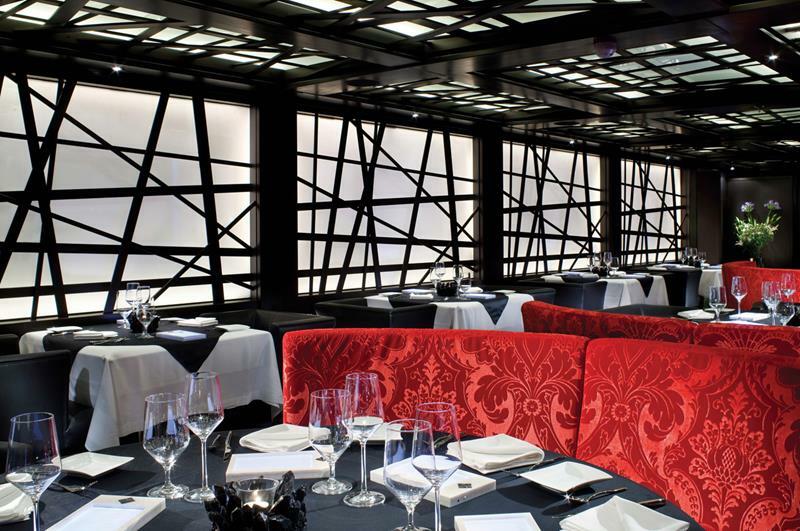 Seabourn does this with fine fare, luxury décor and architectural touches, and of course with tremendous fun! 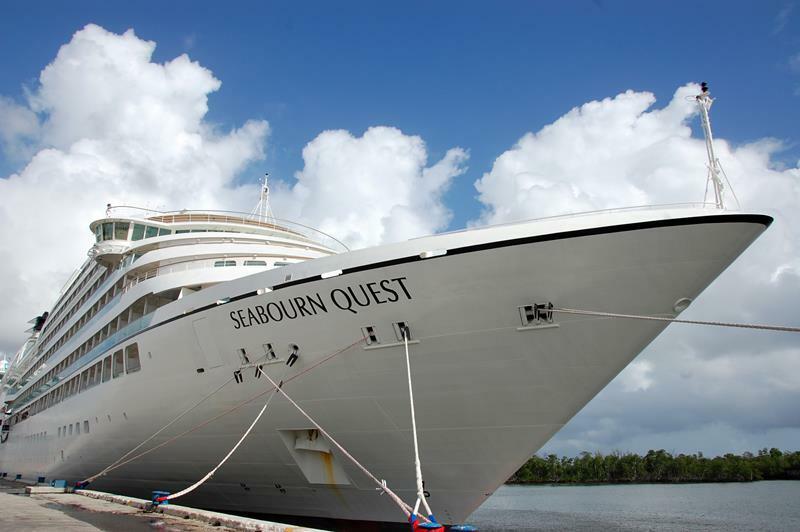 Now, it’s difficult to pick the best of their various cruise ships, but for our money the Seabourn Quest is the one you want to board. As you’ll see in the 22 pictures that follow, there’s so much that this ship offers that you simply won’t find with another cruise ship. For example, have you heard of a Carnival cruise ship with an on-board marina? No? We didn’t think so. 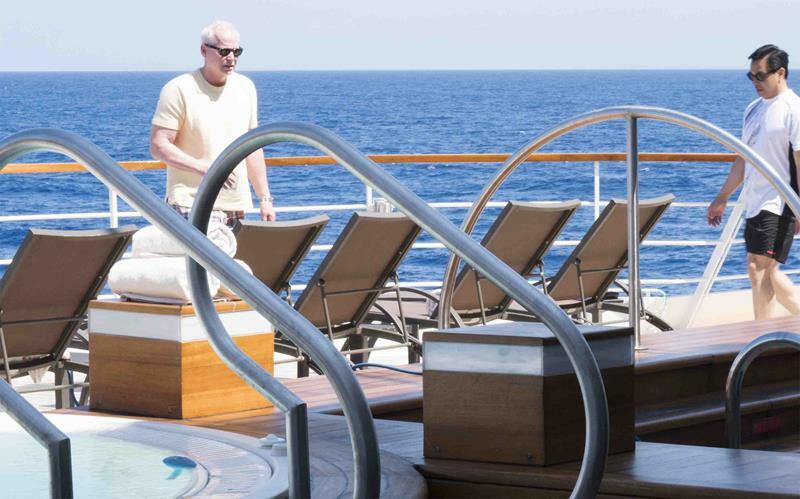 So come take a tour of Seabourn’s most luxurious cruise ship. 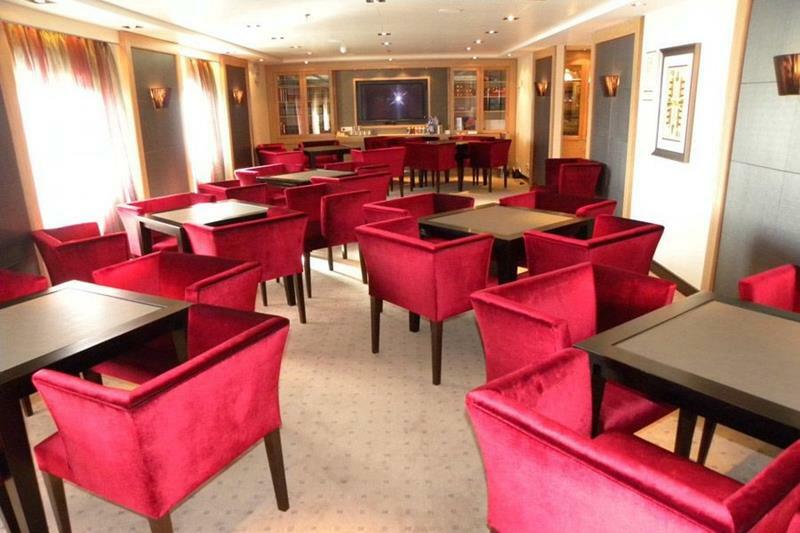 We bet you’ll be looking to book passage on it once you’re finished! 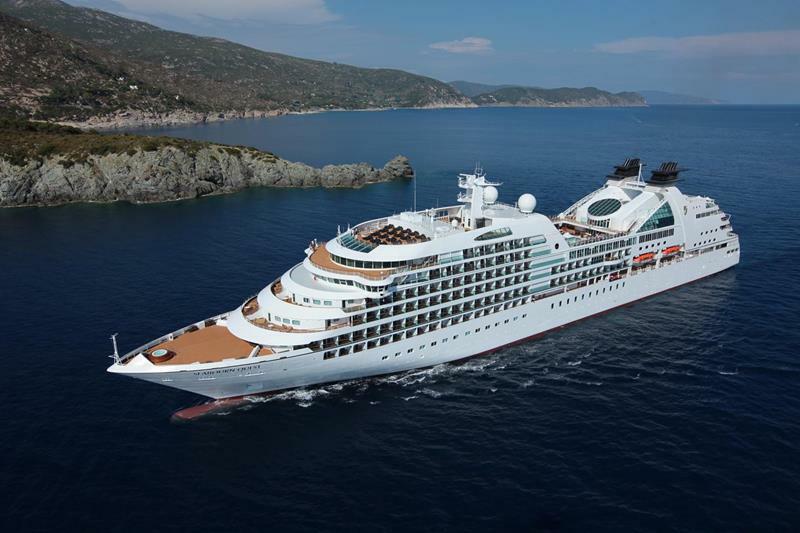 Seabourn is consistently ranked as the best small cruise ship line in the world, and the Quest may be the best ship in their line. 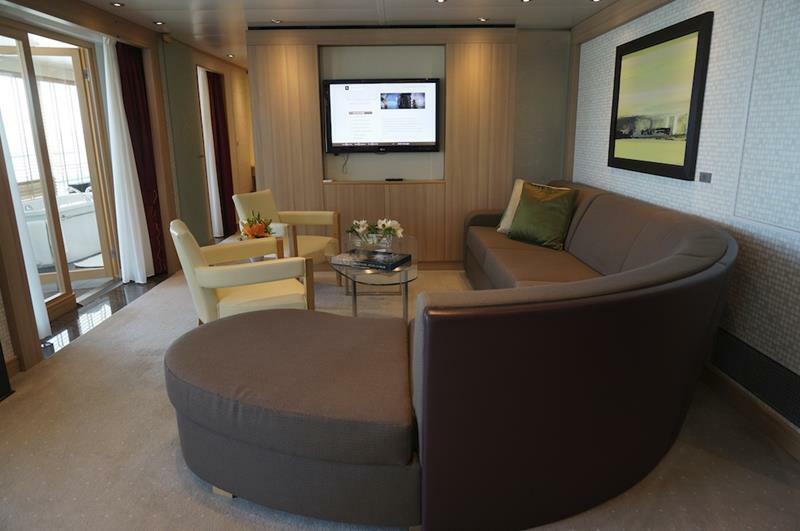 You’ll immediately be able to tell what kind of a luxurious experience you’re in for as soon as you set foot in Seabourn Square, the ship’s hub. After you’ve dropped your things off, we recommend taking a trip to the Sun Terrace, where you can get the lay of the land, while soaking up the rays. 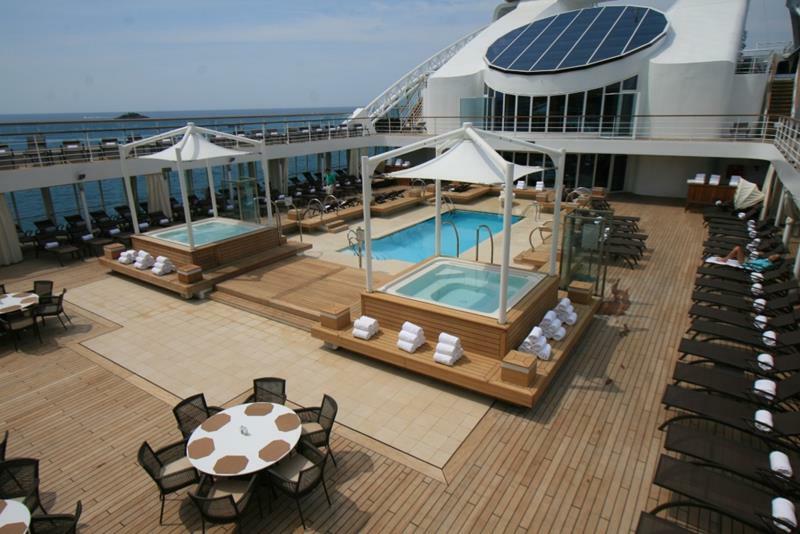 Of course, when it comes to on-deck fun, the Pool Patio is where the action happens. 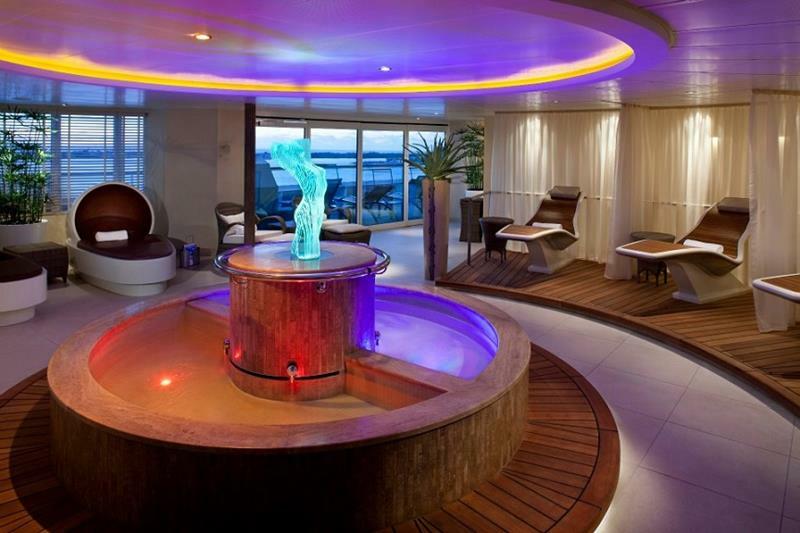 Take a dip, or relax in one of the many whirlpools. 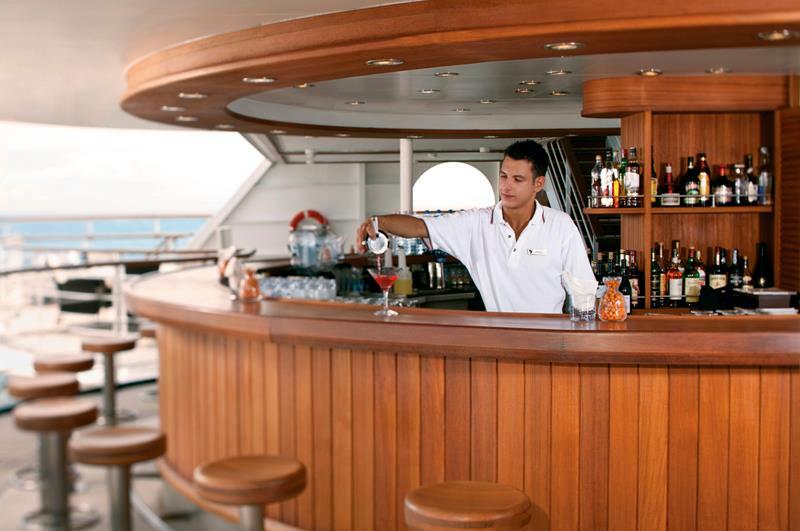 When you’re poolside on the Seabourn Quest, though, you’ll definitely want to have a drink in hand from the Patio Bar. But, if you’re going to be drinking and swimming, you can’t have an empty stomach! Thankfully the Patio Grill is there to serve. The Pool isn’t the only place you can have fun in the water. When the boat is docked, the Marina is open. Take out a jet ski, or go on a small boat tour! 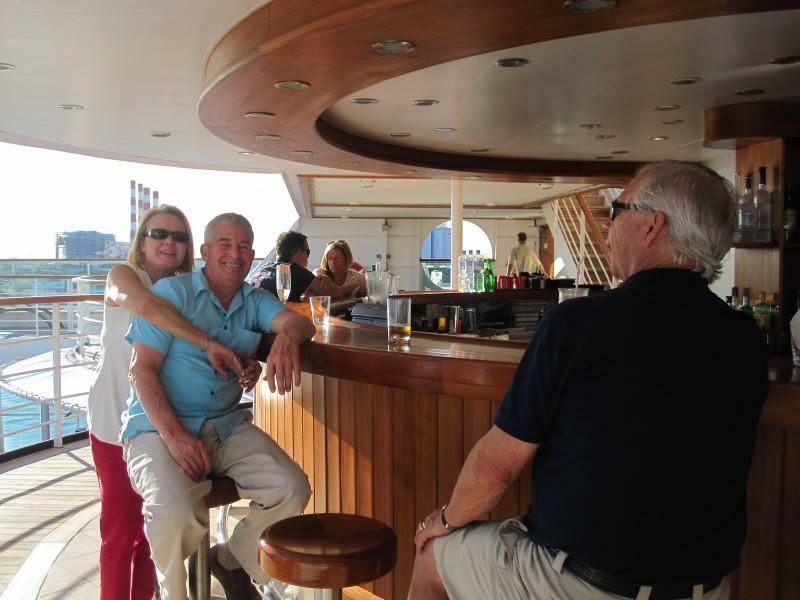 There’s plenty to get excited about inside the boat, including the Observation Bar, which offers luxurious accommodations and sweeping views. Alternatively, you can check out the Sky Bar, which is situated about the Pool Patio that we explored earlier. 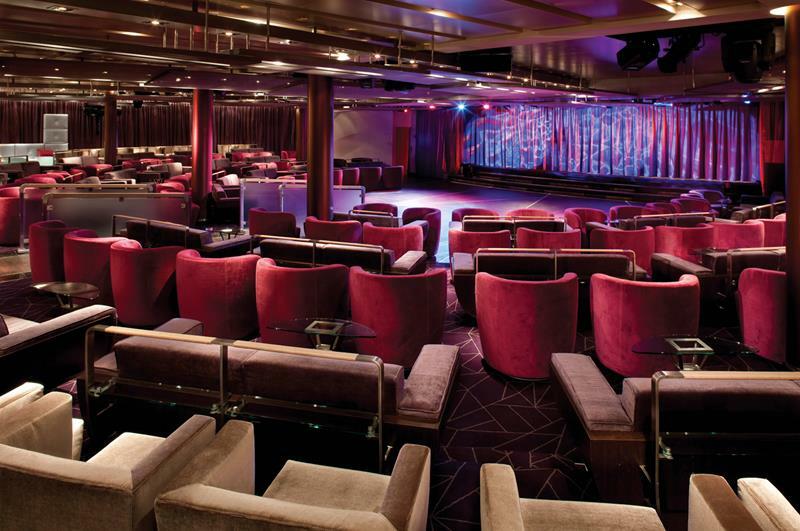 There’s plenty to keep you entertained while you’re cruising on this luxury ship. 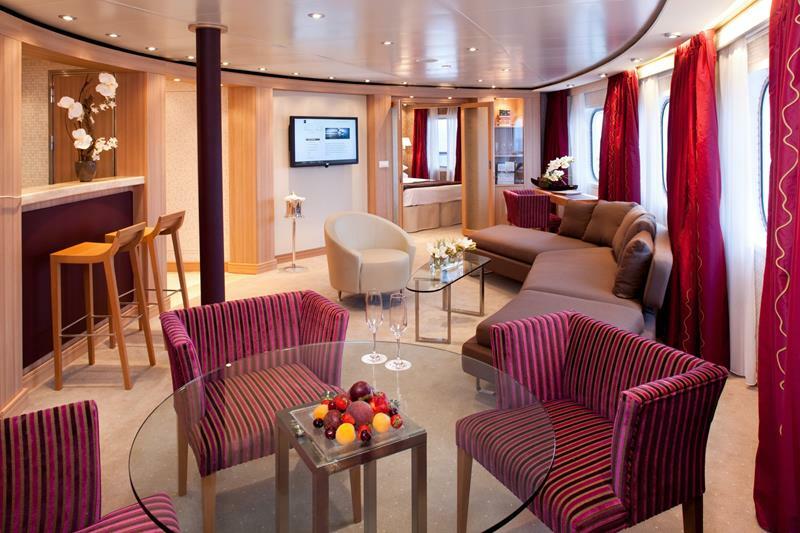 For example, the Quest is home to an onboard casino. There’s also the Grand Salon, which is where you’ll be able to catch everything from raucous shows to culinary arts classes. 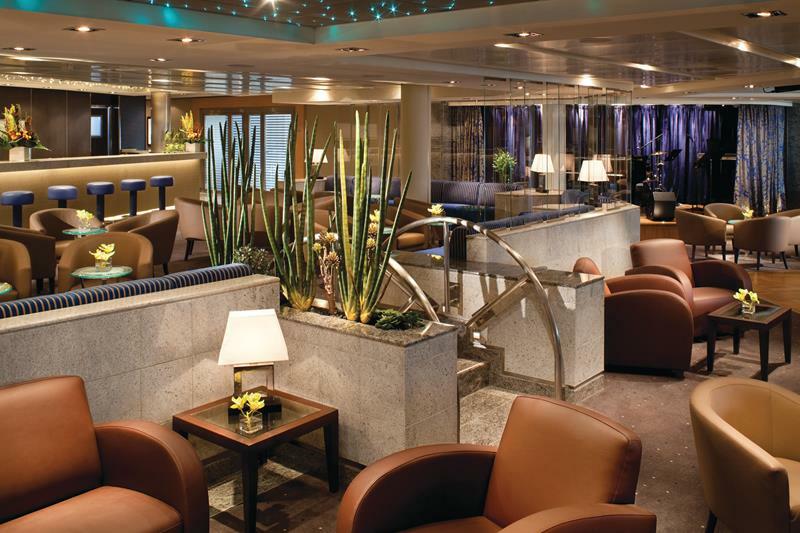 There are several places onboard where partiers can revel. For example, there’s the club, which frequently features a DJ spinning all the hot tracks. Of course, some may wish to relax. 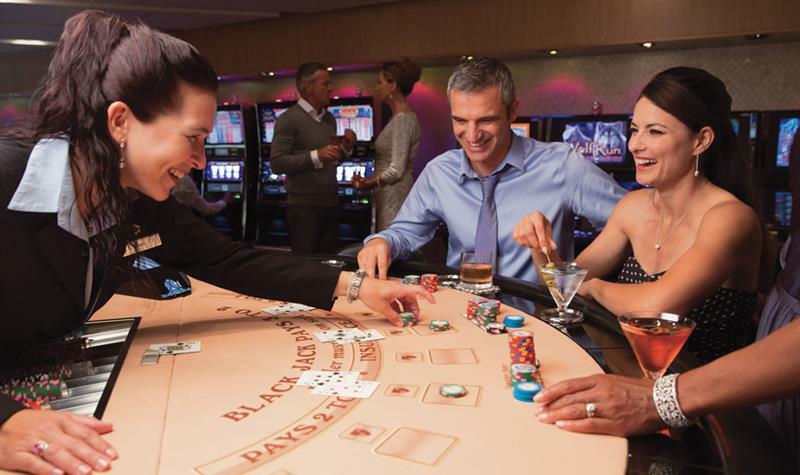 If that sounds like you, then we recommend hitting the Card Room for a simple game of bridge of poker. Many folks while they’re on vacation love to shop. 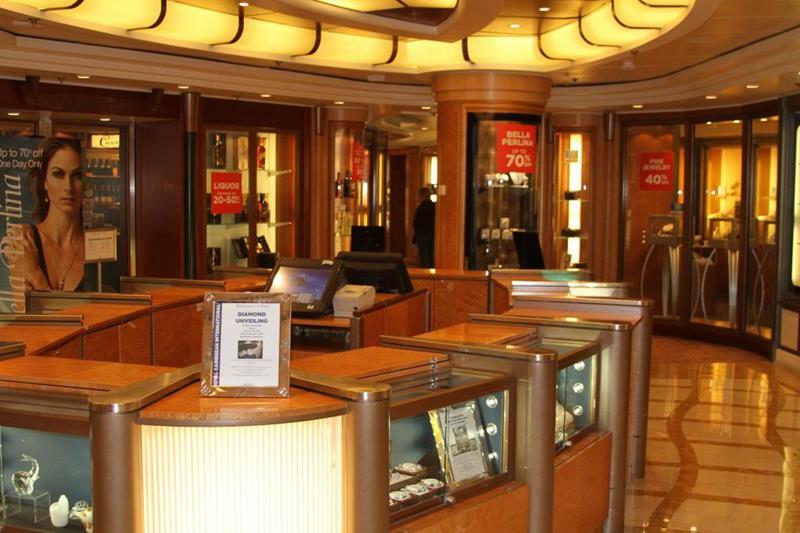 For you, the Quest offers the duty-free Shops at Seabourn, which offer sundry items. 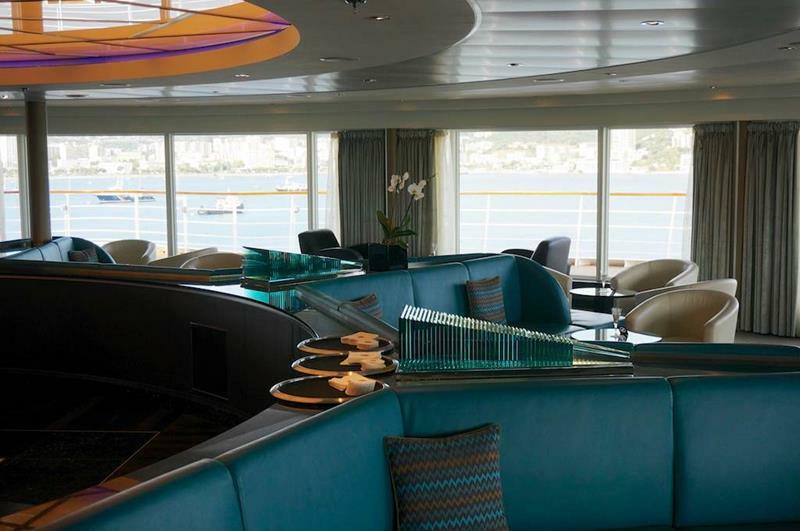 This cruise ship serves some truly fine fare, something you can experience when visiting the beautiful Colonnade restaurant. 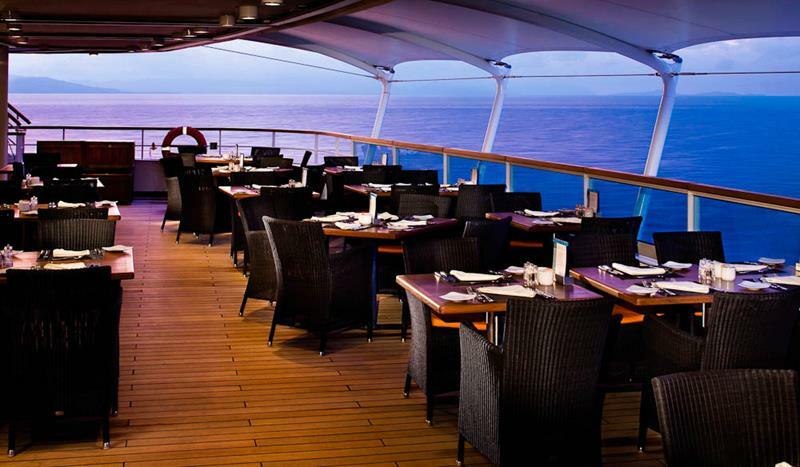 Cruising couples that want to have an intimate dinner will be well served by a visit to the Quest’s Restaurant 2. Truly, there’s a lot of excitement to be had, and you might find yourself a little worn out from time to time. That’s what the Spa is there for. After you’re done with whatever treatment you’ve received at the Spa, be sure to pop by the Spa Terrace! Depending upon the experience you want to have, there are plenty of rooms and suites to choose from. Above you can see the Owner’s Suite, one of the ship’s best. The Wintergarden Suites are also a grand choice. Each suite is just over a 1000 square feet and offers everything from a wet bar to a glass-enclosed solarium. 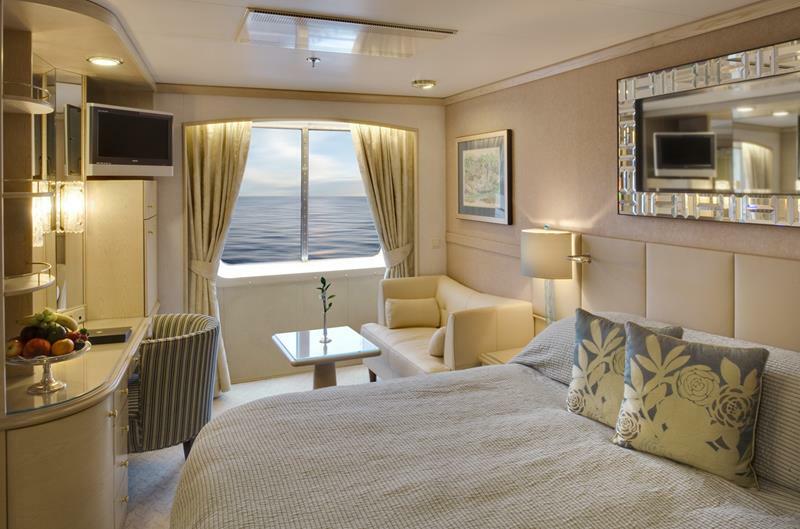 If you would prefer to save your money for ports of call and on-ship entertainment, consider going with the Ocean View Suite. They’re small, but still well appointed. 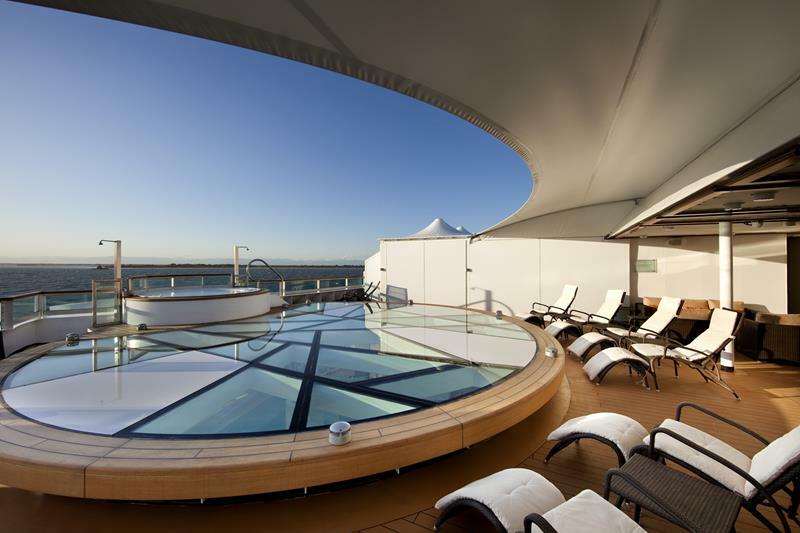 The Seabourn Quest offers an amazing luxury experience. 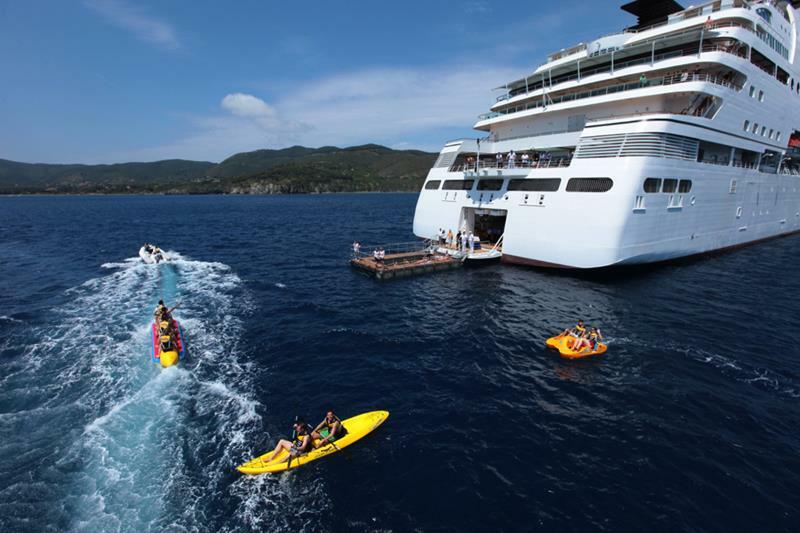 If you’re looking for a cruising experience like no other, then we recommend booking today!